 Some say that rose is the new summer water, but for us at Fair Harbor it’s beer. Plain and simple -- so why mess with perfection? However, perfection isn’t “Natty Light” or those God awful Keystones from our college days. We’re making a conscious decision at our headquarters to be mindful about where we purchase our beer from, who we support, and that it doesn’t have a distinct sour aftertaste of backwash. Here are some breweries that have dedicated themselves to being sustainable and to producing some great beer. We’ll cheers to that for sure. Brooklyn Brewery: Located in our own backyard, the Brooklyn Brewery was the first New York company to use 100% wind generated electricity. It also recycles all paper, plastic bottles and sends their spent grain to a facility in New Jersey that turns it into chicken and pig feed at the Queens County Farm Museum. Composting and recycling? Double boom. New Belgium Brewing Company: This brewery in Fort Collins, Colorado diverts 99.9% of its waste from landfills and is a partner in the Brewers for Clean Water campaign, donating close to half a million dollars to restore local waterways. On top of that, 70% of the brewery’s energy is wind-power generated and 30% is developed from their own alternative power source by reclaiming wastewater, cultivating its bacteria and combusting methane. Don’t worry, our minds have been blown too. Stone Brewing Company: By installing 1500 solar panels along the facility's exterior in San Diego, the brewery has cut its energy bills in half and offset an estimated 538,000 pounds of carbon emissions. Don’t judge this next part too quickly...in effort to cope with California’s severe drought, the brewery is using cutting edge technology to turn purify wastewater into a pale ale called Full Circle. The city’s mayor declared it both “fantastic” and “delicious”. Hey, who knew you could turn plastic bottles into boardshorts? Have an open mind. Yards Brewing Co: This Philadelphia brewery checks off all the sustainable boxes. Not only is it 100% wind powered, but its cardboard packaging is certified by the Sustainable Forestry Initiative. Like the Brooklyn Brewery, it sends its spent grain to farmers to use as livestock feed. AND it collects and reuses about 2 million gallons of water in the brewery each year. It doesn’t stop there, the brewery composts all food scraps too. Eel River Brewing Co: As America’s first certified organic brewery, this spot located in Fortuna, California is 100% biomass powered. Focusing on supporting local markets, they source most ingredients from the Pacific Northwest. Sierra Nevada Brewing Co: Located in Chico, California, this brewery is one of the largest private sustainable breweries in the country and also one of the largest private owner of solar panels in the United States. With 10,751 panels covering enough rooftop space to span 3.5 football fields and 20% of the brewery’s electricity, this is the mecca of all meccas of sustainable breweries. Anderson Valley Brewing Co: Not only does this California brewery use solar panels for 40% of their electricity, but their land is managed completely naturally. As in a team of goats mow their grass and apparently a cat named Crystal keeps the brewery “pest free”. Boulevard Brewing Co: After 10 million empty Boulevard beer bottles ended up in the landfill in 2009, the Boulevard Brewing Co. started Ripple Glass. Ripple Glass is a processing plant dedicated to recycle glass. Fast forward two years and the plant recycled enough glass to produce 100 million Boulevard beer bottles. Brewery Vivant: Diverting 100% of its waste from landfills and sourcing 90% of its brewing materials within a 250-mile radius of the brewery, this brewery in Grand Rapids, Michigan definitely makes the list. It also made history in 2012 when it received the first LEED certification for production brewery in the United States. Full Sail Brewing Co: This brewery in Hood River, Oregon focuses on conserving water. They have reduced their water usage to 2.5 gallons per gallon of beer produced, which is the lowest water to beer ratio in the industry. Compared to the industry average of 10 gallons of water per gallon of beer, this ratio is pretty epic. Just to put it in perspective here, beef requires about 1,800 gallons of water per pound of meat. Just think about that next time you dive into a burger. A little food for thought.